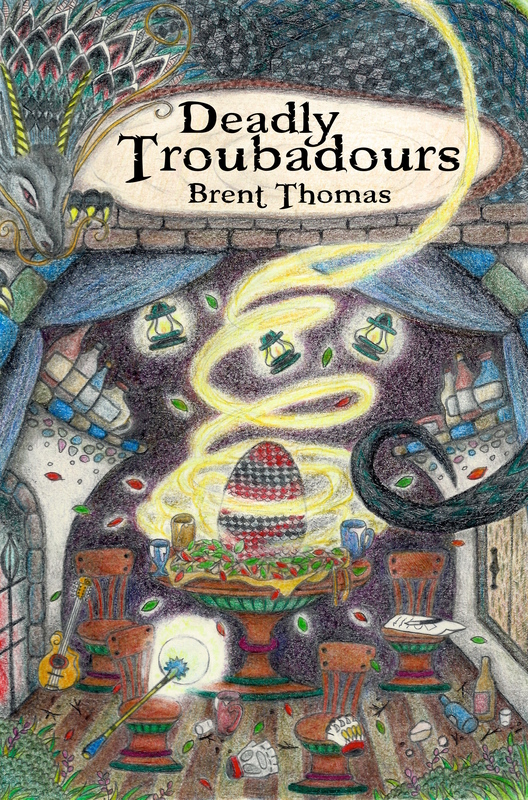 I’m making use of my summer break to finish the long neglected podcast Reading Deadly Troubadours. For the longest time it has been haunting me, reminding me that it is a project yet unfinished. I kept meaning to make progress on it, but when time arose other concerns came off as more pressing. Now I have doubled my efforts and am finishing this up. As of writing this I have four episodes ready to go. These episodes will be released twice a week (Thursdays and Sundays) starting tomorrow. The goal is to get the remaining episodes recorded before I have to return to teaching late next week. Or, at the very least, record on a regular enough schedule so that I can continue the twice weekly postings until it is finished. I want this out and in the world, if for no other reason than so I can say that I accomplished it. By clumsy segue, I have a favor to ask. Currently I am posting here almost daily. Content ranges from reviews, thoughts about writing, life updates from Japan, original podcasts, and short stories. Obviously I’m doing all this because I very much hope it will encourage people to pick up my current and future novels. I’d also appreciate it if regular visitors to this site and those who listen to my podcasts to please consider donating to my Patreon. Not only does it it help me pay the bills for this site, but it is a great way to motivate me to keep things going. Every patron who pledges $3 or more will be thanked on a supporter page in my upcoming novels and other collections.